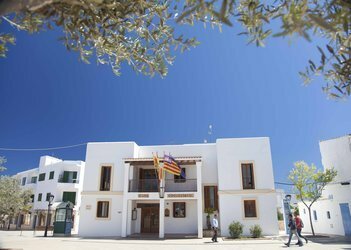 The education office of the Formentera Council announces the start of a new academic term from September 15 at the island's two early-learning centres. 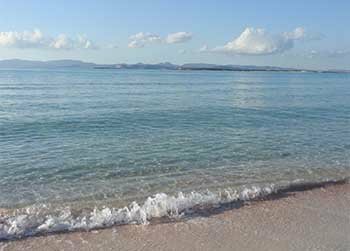 One hundred twenty-two children aged zero to three will begin classes tomorrow at Formentera's two escoletes, Sa Miranda and Camí Vell, in nine groups overseen by 17 instructors and an aide. Education secretary Susana Labrador said the schools had kept their doors closed for the first two weeks in September while teaching staff, service workers, Council employees and outside contractors worked to get things up and running ahead of another year. Labrador put the total cost of the undertaking at €8,475. Both schools got a fresh coat of paint, something Labrador said only cost the administration €400 since in-house staff could be brought in for the work. Carpenters were called in to change and varnish wood floors at Sa Miranda. Light work was performed on the doors at the two schools, and both centres received needed new shelving. The price tag for the diverse upgrades was roughly €5,200. A storage unit for educational material was mounted at Cami Vell for €875, and a gas tank for Sa Miranda's on-site heating system cost €2,000. 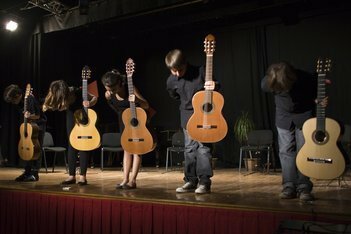 The Formentera Council Office of Education has announced an extended deadline on pre-enrolment for the 2016-17 year at Formentera's municipal music and dance school. The added dates —from the first of the month to September 10— affect in-person registration at the Citizen's Information Office (OAC) as well as online signups on the Virtual Citizen's Information Office (OVAC) and the music school's homepage. The school of music and dance offers both accredited and non-accredited courses of study in addition to workshop-style music and dance classes for children three and up. Last year roughly 300 people took classes at the school. The Office of Education of the Formentera Council will set aside €45,000 for textbook grants this school year. CiF education councillor Susana Labrador announced the money would be used as “aid to underwrite new acquisitions for primary and secondary schools’ textbook reserves” as well as “individual grants for registered Formentera residents who are taking part in the 2015-16 early-childhood education course”. According to Labrador, “45 of these same grants were awarded last year”. Detailed information, including the documentation that applicants must provide to the Council’s Citizen’s Information Office (OAC), is available at: http://www.consellinsulardeformentera.cat/index.php?option=com_content&view=category&id=351&Itemid=437〈=ca. The deadline for application submissions is April 25. For more information, please contact the Office of Culture, Education and Patrimony of the Formentera Council. 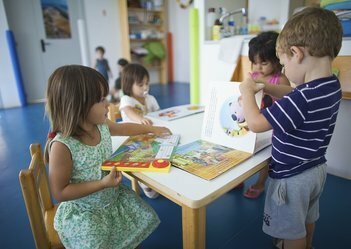 The Formentera Council (CiF) Office of Education has announced that from May 4, enrolment applications will be accepted for children wishing to attend the La Miranda or el Camí Vell de la Mola nursery school during the 2016-2017 school year. As education councillor Susana Labrador explained, the deadline for applications is May 18 and provisional lists of accepted children will be published May 30. Individuals who are interested can download the application in the Escoletes (Nurseries) section of CiF website and at the following link: http://goo.gl/rxXr8e. The application can also be downloaded and handed in in person at the Citizen's Information Office (OAC) from May 4-18, 9.00am to 5.00pm, Monday through Saturday. As Labrador pointed out, the same admissions process will be used for the two schools. “There will be a space on the application for applicants to note which of the two escoletes they prefer,” she added. Children born in 2016, 2015 or 2014 can attend Escoleta de La Miranda and those born in 2015 or 2014 can apply to Escoleta des Camí Vell. Labrador encouraged anyone with questions to visit the La Miranda nursery between 2.00 and 3.00pm. 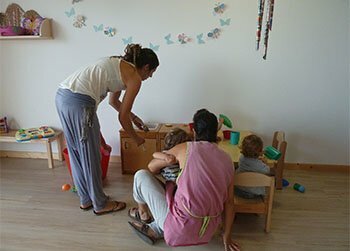 The current admissions process involves Formentera's two year-long nursery schools, which offered 128 places during the 2015-2016 school year. Education councillor Susana Labrador has announced today that for the 2015-2016 school year, the Formentera Council’s office of education will provide €38,000 in grants for students in higher education, training, postsecondary and arts programmes attended off the island. For Formentera residents that study in Eivissa or take part in a distance learning programme, the aid will come in the form of €150 grants, she explained. Students that travel beyond the Pitiüsa islands will receive €450. The councillor also noted the number of travel cost grants issued last year: ninety. Application terms and information about all required documentation can be viewed online at http://www.consellinsulardeformentera.cat/index.php?option=com_content&view=category&id=351&Itemid=437〈=ca. The deadline for applications is 25 April. All interested applicants should visit the office of culture, education and patrimony of the Council.